Born and raised in Rome, in the neighborhood of Torpignattara, Amir is the son of an Egyptian immigrant father and an Italian mother. He initially approached hip-hop culture in the 1990s, first as a b-boy/breaker, and then as a writer for Roma’s graffiti crew The Riot Vandals. He is among the founders of the legendary Rome Zoo, a group made of Rome’s rap artists such as Colle Der Fomento, Cor Veleno, Flaminio Maphia, Piotta, and many more. His passion for hip-hop allows Amir not to feel the emotional distress caused by the legal troubles of his father, who was incarcerated when Amir was still a child. Rap becomes a positive relief valve, and thanks to it Amir is able to tell his personal stories to the rest of the world. In 1997, Amir records the first mixtapes, but his proper debut comes two years later, when he raps on “Preparati”, from Colle Der Fomento’s Scienza Doppia H, an album that is still widely considered as one Italian rap’s masterpieces. In 2000, Amir was on the cover of the Italian hip-hop magazine Aelle, nominated as one of Italy’s most interesting emerging artists. The same year, Amir forms a new group, Due buoni motivi, in collaboration with Roman rapper Supremo 73, releasing their first official record, a 3-track vinyl produced by Unic Records and an EP titled Meglio tardi che mai, published in 2002. Another important step in Amir’s career has been his collaboration with Anglo-Italian beatmaker Mr. Phil, which led to the release of the LP Naturale, published by independent label Vibra Records in 2004. The record contains important featurings from artists such as Primo, Sparo Manero (a.k.a. Il Turco), Maylay Sparks, and from New York rapper Afu Ra. In 2005, Amir starts working on his first solo album, Uomo di Prestigio; initially produced by independent Canadian label Prestigio Records, the album is later published by Emi/Virgin in 2006. The first single, “Shimi”, sees the collaboration of Italian-Egyptian female singer Nefer. Uomo di Prestigio saw among its producers important figures in the Italian rap scene, such as Bassi Maestro, Shocca, Mace, Sanobeat, Michel, Wiskbeatz, Squarta, Mr Phil, DJ Kemo, Vago, and MCs such as Tormento, Cor Veleno, and Santo Trafficante. For the first time, Air discusses the theme of Italy’s second generations—children who were born from immigrant families and were raised in Italy. Emi/Virgin’s specific marketing strategy managed to attract the attention of the media not just in Italy, but internationally. 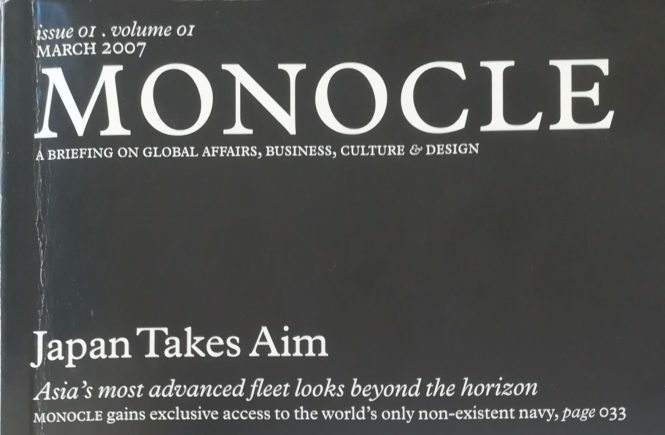 In 2007, Stephen Faris wrote an article about Amir on the English magazine Monocle, and the following year And Krnonos International’s journalist Seema Gupta wrote a piece on Amir. At this point, Amir’s passion for hip-hop turns into a proper musical career, leading to the release of several mixtapes, EPs, and full-length albums in the following years, with “Cinque del mattino”, and “Inossidabile” becoming classics songs in the genre. His own experiences during a difficult childhood inspire Amir to help other kids improve their own situation; together with his activity as a rapper, Amir collaborates with several no-profit associations like Save the Children, Centro Astalli, the Community of Sant’Egidio (with which, in 2010, promotes a music workshop in the youth detention center of Casal del Marmo, in the outskirts of Rome), and UNAR, Italy’s National Union for Anti-discrimination and Anti-racism, that chose Amir as a spokesperson for one of its anti-racist campaigns. Amir has always played a decisive role as an activist in the campaign for the law on citizenship for Italy’s sons of immigrants. Collaborating with Change.org, in 2012 Amir launched an online petition and a song, “Caro Presidente” (“Dear President”), where he invited the President of the Republic to consider the theme of Italy’s law on citizenship. In just a few days, the petition was signed by thousands of people, allowing Amir to further solidify his role of representatives for so-called “New Italians”. Some of Amir’s songs’ lyrics—such as “Straniero nella mia nazione”, “Non sono un immigrato”, or “Ius Music” have been studied and are mentioned in several textbooks. Example include Cross Generation Marketing (Egea, 2009) and The Narrative and Us (Ritsumeikan University, 2017), which includes a Japanese translation of “Non sono un immigrato”, realized by Satoko Ishida. There are countless publications on this topic, not just on Italian newspapers and magazines, but also internationally, as in the case of a 2013 article dedicated to Amir and published on The Guardian. In 2012, EMI Music asks Amir and The Caesars to collaborate on the creation of a soundtrack for Francesco Bruni’s movie Scialla! ; their song was later nominated for important movie awards such as the David di Donatello and the Nastri d’Argento. As of now, Amir is the only rapper to walk the red carpet of the Venice Film Festival and was later received by the President of the Republic. Also, the nomination at the David di Donatello granted him the status of jury member at the annual voting of the Academy for the David di Donatello. In 2012, Amir is also the co-author of the music for Francesco Barnabei’s docu-film La Luna che vorrei, where Amir also appears as an actor. The movie aims at valorizing Rome’s Fifth Municipality, where Amir grew up and where he composed many of his songs. Other independent movies that include Amir’s songs are: Amin Nour and Pietro Tamaro’s Genewration(Barbuka Productions, 2013), with the song “Non sono un immigrato”, and Kassim Yassin’s Idris (2017), with “Stare bene”. In December 2013, Amir takes part in one episode of Guerrieri, a TV programme broadcasted by La7 and hosted by Jovanotti’s bass player Saturnino Celani. There, Amir tells his personal story, narrating anecdotes from his private life. That episode has become the most-viewed in the entire series, raising the interest of other TV networks. 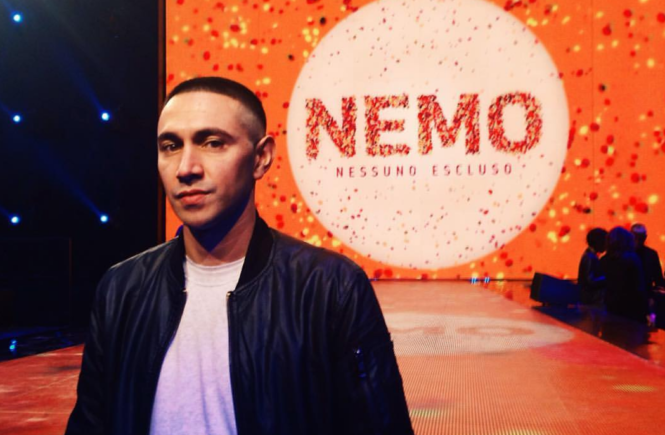 In 2014 Amir appears in RAI 3’s Questioni di famiglia (Magnolia Productions), and in 2016 he becomes a correspondent for RAI 2’s Nemo – nessuno escluso. 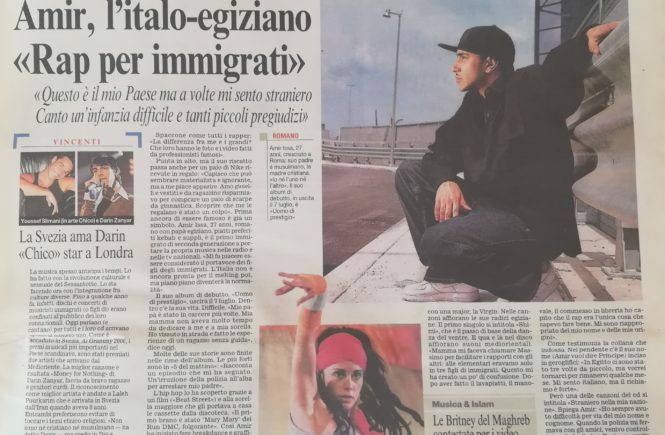 Amir is the founder and artistic director of Potere alle parole (beats and rhymes against discriminations), a writing laboratory with the purpose of unpacking stereotypes and prejudices that lead to discrimination, created in collaboration with UNAR and the no-profit association Il Razzismo è una brutta storia. The workshop took place in public schools, and it involved rap artists such as Ghemon, Kiave, Madbuddy, and Mistaman; it was later documented by a story piece broadcasted on Laeffe TV in 2014. 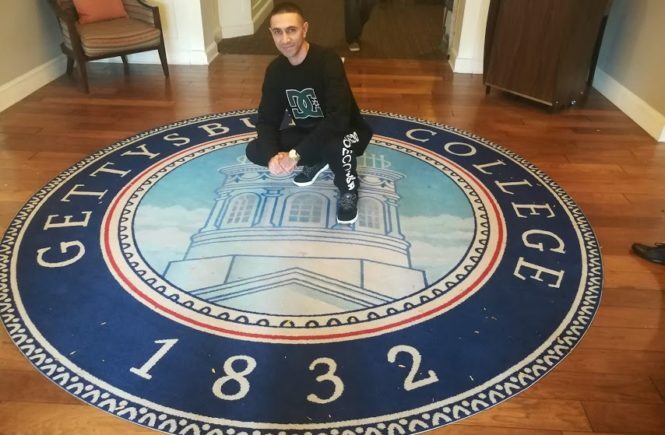 Thanks to the use of rap as an educational tool, Amir has become increasingly engaged with the academic world, and is frequently invited to perform and lead workshops outside of Italy. He has lectured in the United States, Belgium, and Japan, presenting his work at institutions such as: Ritsumeikan university in Osaka, University of Liège, Georgetown University, The Ohio State University, Dartmouth College, University of Vermont, University of Rhode Island, Mount Holyoke College, San Diego State University, Chapman University, and University of San Diego. 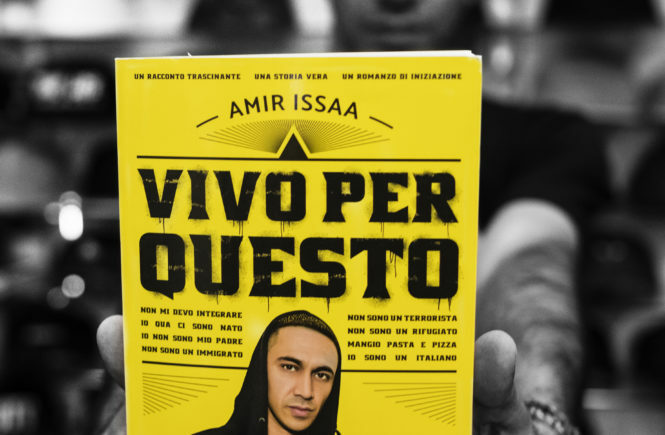 In June 2017, Amir published his first book, Vivo per questo (Chiarelettere). An autobiographic novel that has been well-received by Italian literary critics and was praised by Internazionale as one of the best books for young adults in 2017. Several newspaper articles and reviews name it as an excellent literary debut, arriving second among the finalists for Rome’s Premio biblioteche. Thanks to Amir’s connections with U.S. universities, the book starts to be read among students of Italian in U.S. institutions, leading to a proper U.S. book tour that started in February 2018, with presentations both on the East and on the West Coast. 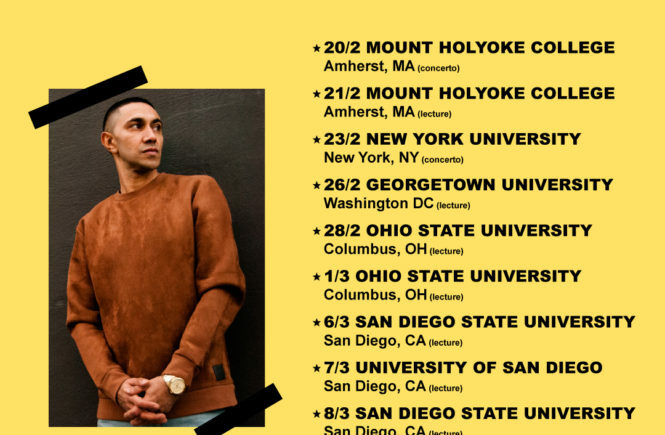 Of particular relevance is the concert at New York City’s Casa Italiana Zerilli Marimò, a foundation related to New York University that has the purpose of spreading Italian culture in the city; Amir is the first and so far the only rapper to perform on their stage. During the tour, Amir has been interviewed by La voce di New York, San Diego State’s The Daily Aztec, and Palomar College’s The Telescope. In September 2018, Frieze Magazin’e editorialist Jamie Mackay published an article that extensively mentions Amir’s work in relation to his efforts to counter the rise of far-Right nationalism in Italy. Amir is currently working on new songs to be released in the following months, as well as on the preparation of a new tour in U.S. colleges.